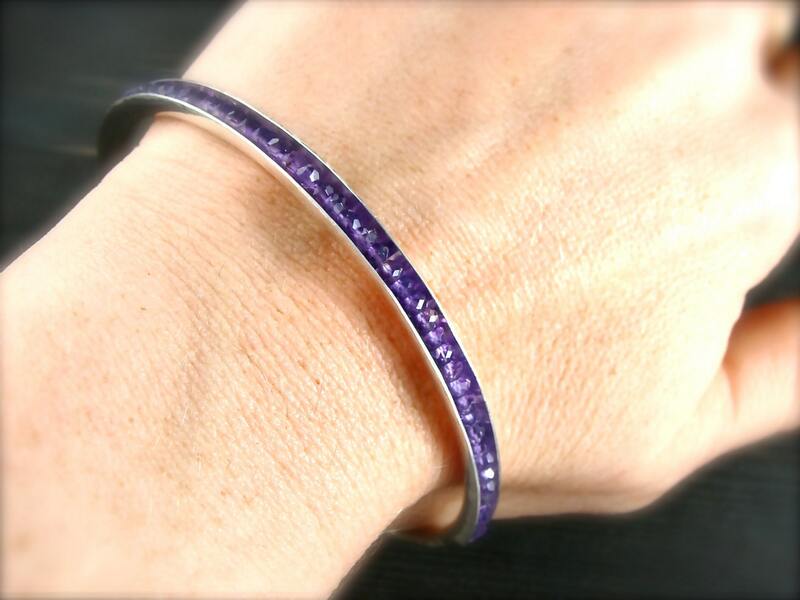 A whole bunch of pretty amethyst sparkle from within the folds of this fine silver bracelet. The stones are held securely in place by sterling wire that runs through the center of the stones. The stones are separated by a 1 inch section that has been hammered to give texture. 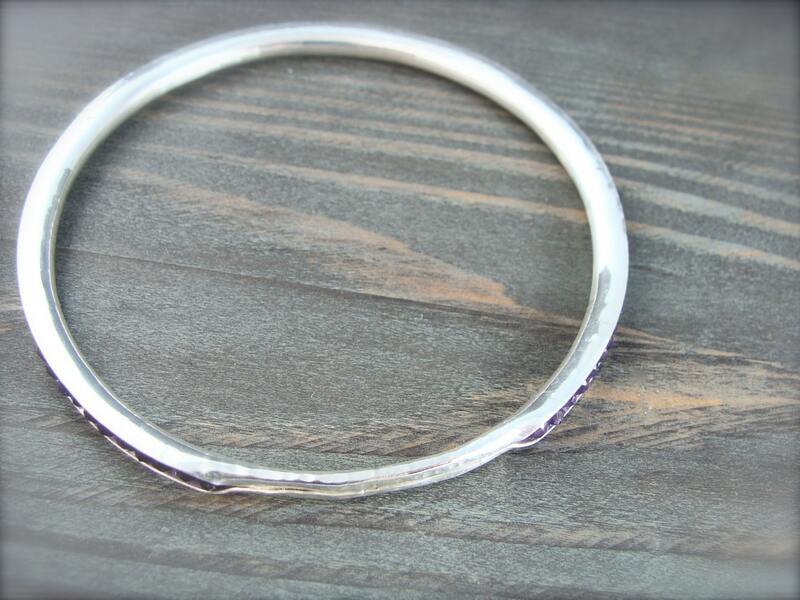 This slender bangle is about 1/4" wide. Standard: 2 5/8" diameter (fits most people). 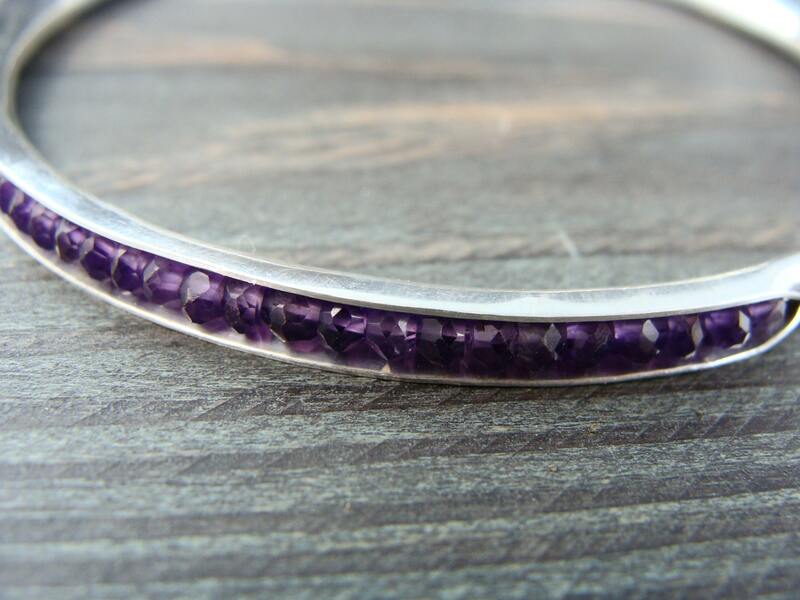 ♥ Gem lore ~ Amethyst is worn to help people expel negativity and is believed to quicken intelligence. 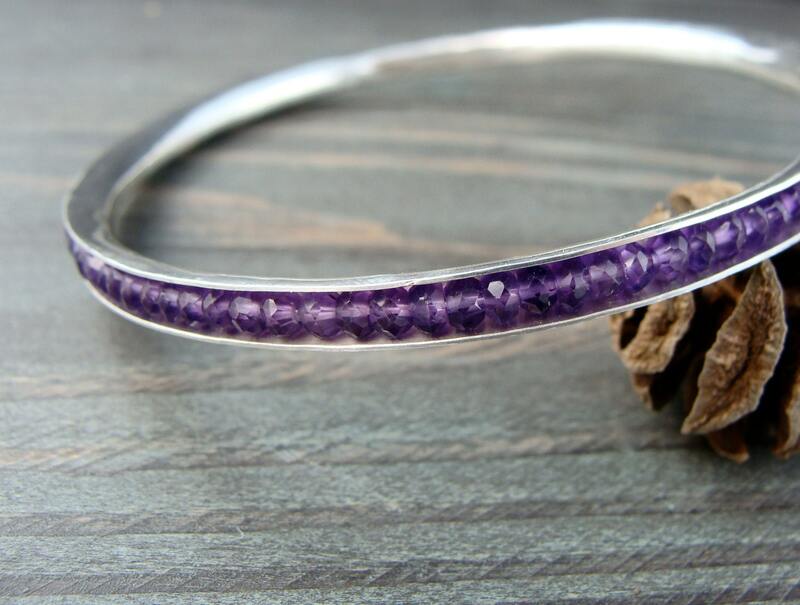 I love this beautiful bracelet! It looks great stacked! Thank you very much. 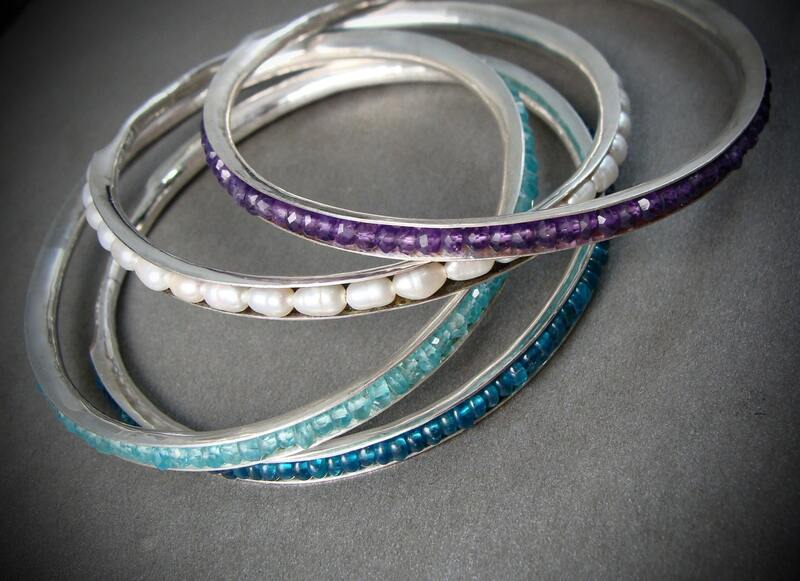 Beautiful stones and I love the design of the bracelet!